I felt very happy today as not only was it very mild and the sun shone, but my eldest son Dominic has got engaged to a girl called Hettie Harvey. I have only met her once and she is deputy editor of the Evening Standard Magazine. She is pretty and clever and Dominic is in a state of euphoria. I am at the bottom of the garden cutting down herbaceous plants in the autumn border. Polly likes them cut into small pieces, as because this takes a long time they rot down quicker on the compost heap. This is really a huge border as I have already been two days on it accompanied by Tensing and Classic FM. 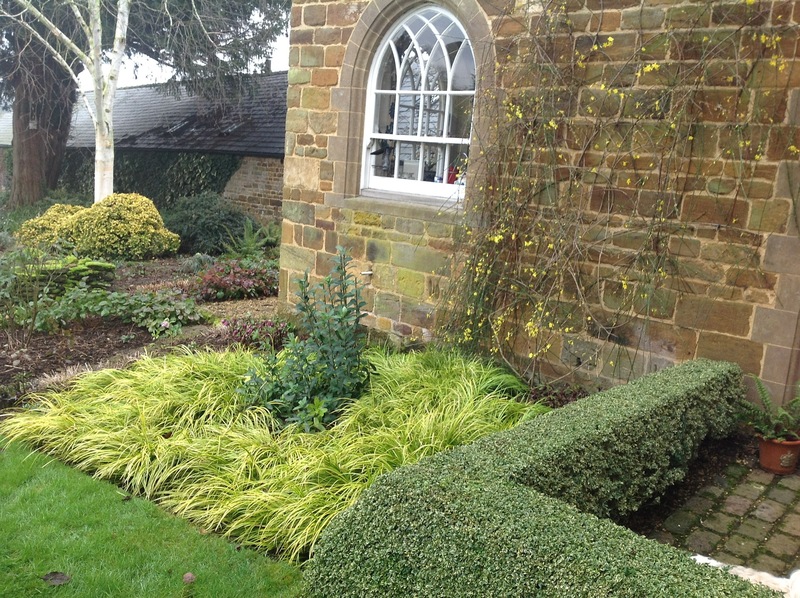 I think next year I am going to add coreopsis tripteris to this bed which is soft yellow and up to 8ft tall, as I have not made any changes here for sometime. It is not a dense plant and would look good at the back, once if not twice. Polly says she has found a wriggling nest of baby grass snakes in the compost heap. I am glad it was not me as I am terrified by snakes, even grass ones. 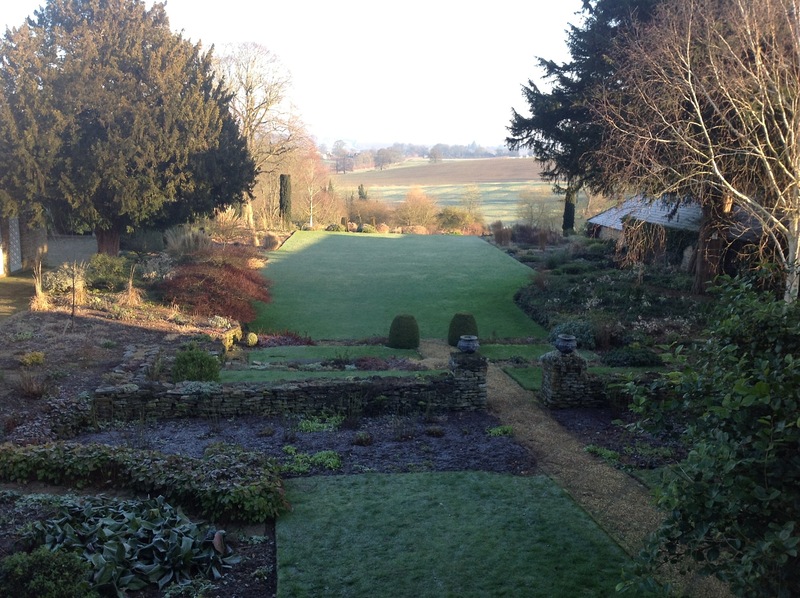 I always think that December and January are the two bleakest months in the garden. There are several shades of green, yellow and beige, and it is then that the structure you have got is important. The winter light can be beautiful, and it is now that you start to cut off the hellebore leaves as you do not want mice nesting in them eating the emerging flowers. After Christmas the days slowly start to get longer, and since it has been mild several of my snowdrops have started to emerge. There is a large clump of Reginae- Olgae subsp. vernalis in the circle in the paddock. I must remember to divide them in the New Year. I picked a few and put them in Dominic’s and Hetty’s room.